If your closet is a mess, hear us out. The change of seasons is always an exciting time because the rise or fall of temperatures means new wardrobe options. But transitioning also means having to haul out those puffy coats and boots that have been stuffed under your bed, or pulling out those cute floral dresses packed on a shelf. I've always been one to use plastic bins for storage. They're easy to slide right under the bed or look nice and neat in a closet. But following a move last year, I found myself with limited closet space and a need to seriously figure out a storage solution. I used my usual bins, but realized I still had extra space under my bed and in my closets. The space wasn't quite big enough for another bin, but it was definitely usable and I certainly had the clothes to fill it. I also found myself frustrated by the fact that my winter coats practically took up an entire bin each. What a waste of space! 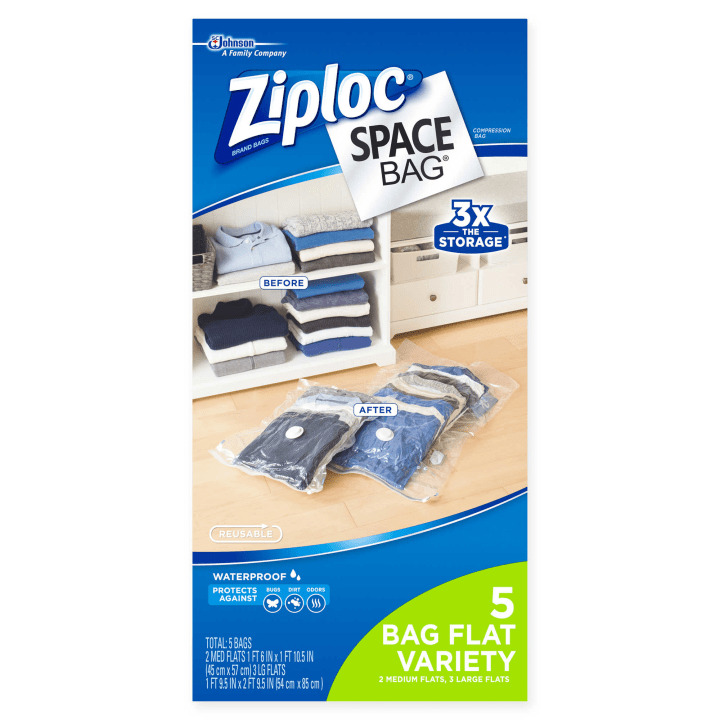 A few people had told me how much they love Ziploc Space bags, but I doubted that a big plastic bag could help my storage woes. Quite frankly, I'm a little mad I didn't start using them sooner — that's how great they are. They come in a variety of sizes, and can turn unruly piles of sweaters, pants — you name it — into neat, compressed bundles. I especially love their hanging version. That big winter coat that fills up way too much space in your closet? This will transform it into something that takes just a fraction of your shelf space. They even have a travel version for packing! 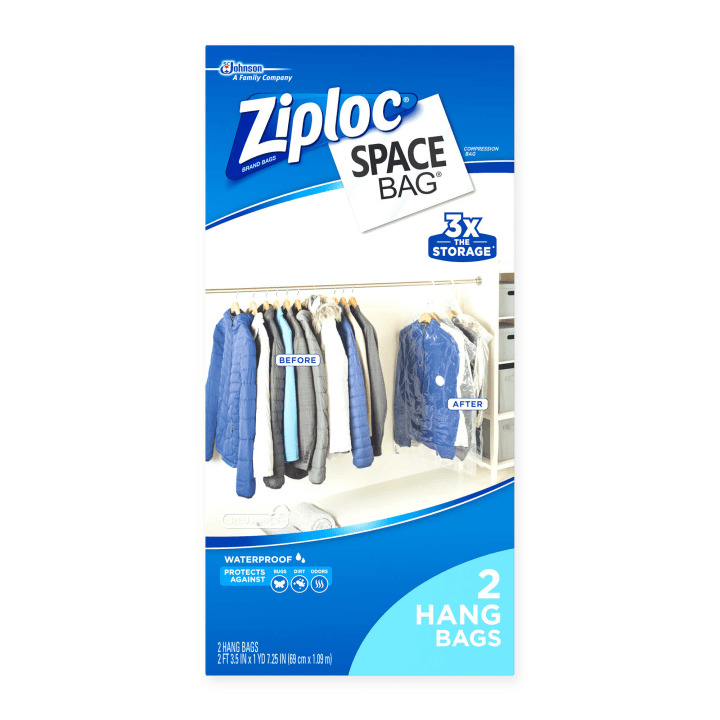 You simply fill the bag with the items of your choice and then either compress it with your hands or vacuum cleaner for the tightest seal. It's that easy! And exterminators say that airtight seal is also great for preventing moths from reaching your sweaters while in storage. Still looking for other storage solutions? Here are some of my other favorite picks. 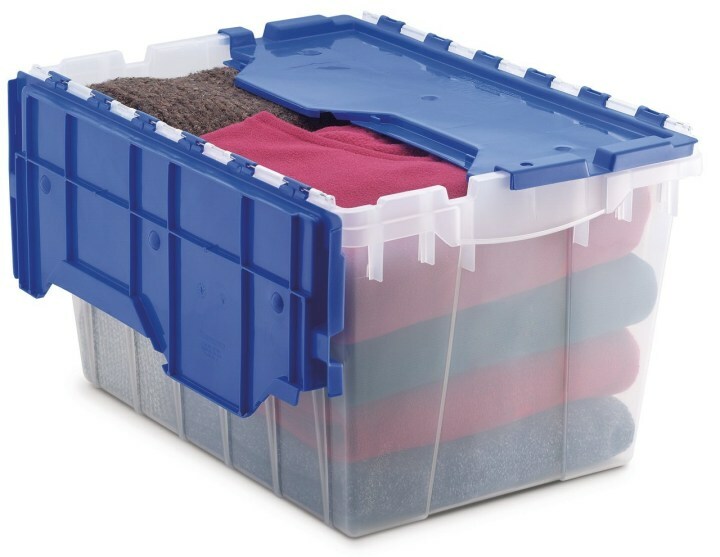 If you have a large space like a basement or attic to store items, these bins can be stacked on top of each other. They are large and fit quite a lot. 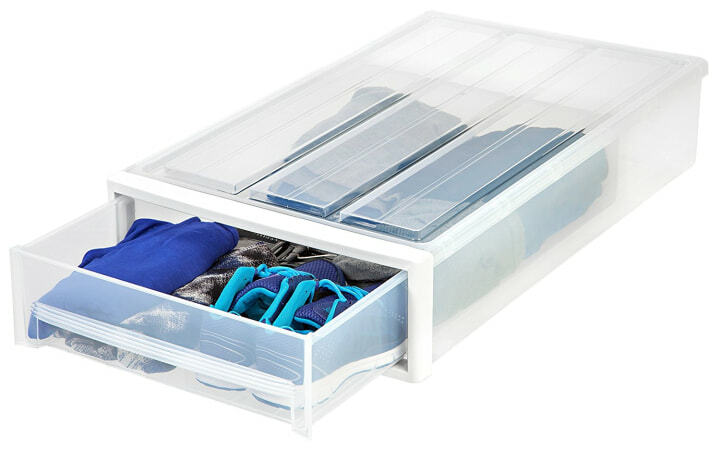 These plastic drawers can slide right under your bed. The drawer allows you to pull out items without having to take the bin out. Depending on how high your bed is raised, you can stack them on top of each other. 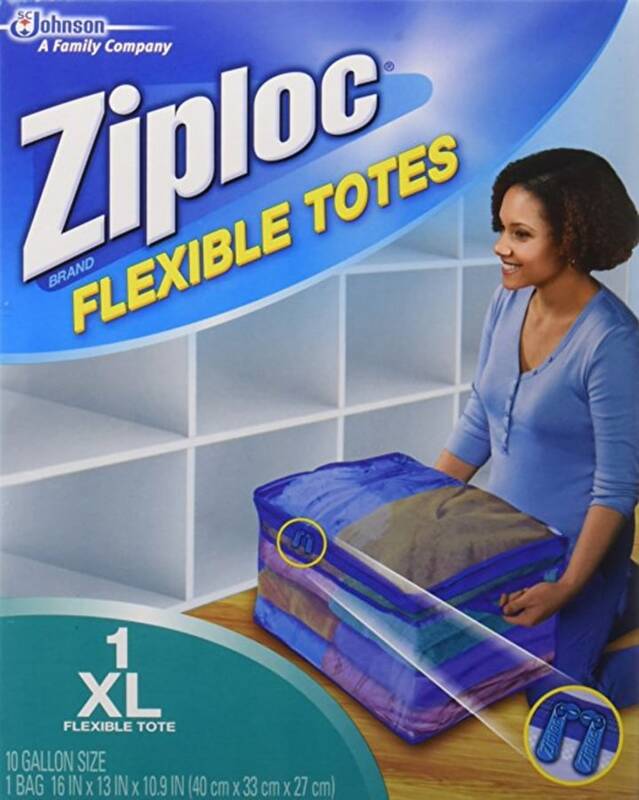 These soft totes are great for storing everything from coats to sweaters, and even shoes. Just fill them up and store them on a shelf.